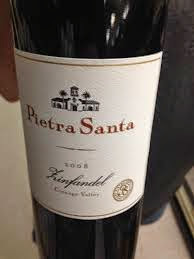 Palate--tightly wound with staid fruit which I think just needs some time to open up and warm up; my cellar this time of year is right around 54 degrees which is perfect storage temp but I find a bit too cold to appreciate the nuances in a wine. After breathing and warming up the bouquet remains pretty much as reviewed but the unique odor has dissipated. The palate is bigger than initial tasting. There is a clear beam of cocoa underneath the fruit and a finish that lingers for sometime. This is my first experience with Cienega Valley Zin. My wife paid $16 for it which is a fair price for the wine so raise a glass!